We report the first record of a northern rockhopper penguin Eudyptes moseleyi on the Kerguelen Islands, Southern Indian Ocean. The penguin must have crossed the subtropical convergence to reach the island. This species was recently proved to be genetically different from the subantarctic eastern rockhopper penguin E. filholi that normally breeds on the Kerguelen Islands. The sequencing of a part of the mitochondrial control region shows that this bird may come from the population of Gough Island, 6,000 km away, in the south Atlantic Ocean. 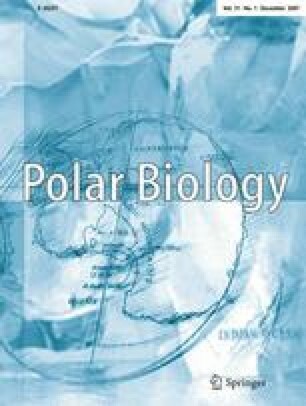 This finding confirms that the genetic isolation between these two penguin species is complete, although some individuals may sporadically disperse between the breeding sites. This first direct observation of a disperser from the Atlantic to the Indian Ocean also adds further support to a biogeographic dispersion pattern already suggested by phylogeographic patterns in other species from the Southern Ocean. This observation was made as part of a project funded by the Institut Polaire Français (IPEV) and DDE-CNRS (Zone-Atelier de Recherches sur l’Environnement Antarctique et Subantarctique). We thank Francesco Bonadonna and three anonymous referees for useful comments on the manuscript.